Every single day the world of freelancing is growing bigger and bigger. More businesses are looking for remote talent, and more people are finding out that they can actually work from home to meet this demand... and make a decent living from it. I’ve had people (family, friends, and strangers) come to me asking about how they can start working from home, as it’s something I’ve done for years now! Starting an online freelancing business can be confusing and overwhelming at first because it’s a completely different world compared to being an employee or running a physical business. It certainly was the case for me when I started 5 years ago—I literally had no idea what I was doing! I only remember being desperate to make some money while I was waiting for my licensure exam. I used to scour the internet for “how to make money online” and all I got were scam after scam. Thankfully, I didn’t have a credit card then, otherwise, I’d be in deep trouble. The funny thing is that I actually learned about freelancing through a friend who introduced me to Upwork (formerly oDesk). I created a freelancer account, built my profile, applied to jobs, and (luckily) won some projects. But knowing what I know now, I’d have done so many things differently… so, so many things. And I’m sure every experienced freelancer thinks the same. Heck, I’ve made so many mistakes, I’m facepalming right now! Fortunately for you, the resources for freelancing online has expanded exponentially over the last few years as well. That means you can avoid all the rookie mistakes almost everyone makes. Disclaimer: This article is designed to help you get started! I don’t want you to obsess about getting “premium” or “high ticket” clients right now. Understanding the basics and getting started on the right foot is crucial to your future successes! 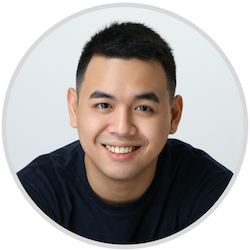 First and foremost, what are the basic requirements for online freelancing? Your computer or laptop is your workspace since all your work will be digital. As for specs, you don’t have to worry about it, unless you’re doing some heavy video editing. If you must know, I started with my grandpa’s laptop and had used it for several months until I was able to afford my own. So, if you encounter people advertising online freelancing as working with just your phone, proceed with caution. To be an “online” freelancer, you’d need a reliable internet connection. While it’s possible to do some of your work offline (e.g., article writing), you will generally need internet connectivity to run your business. Online freelancing relies heavily on your ability to communicate well. As a freelancer, you’d have to reach out to clients and pitch your services. You might even have to hop on interviews or discovery calls. You don’t need to have a native-level fluency. What’s important is that you’re able to communicate with your clients! If you don't feel confident with your communication skills yet, I encourage you to invest some time, money and effort to improve it. The ROI will be hundredfold! A rookie mistake that beginners make is starting an online freelancing career with no marketable skill/s. When you don’t have a marketable skill, it’s difficult to get clients to pay you for your services. This is why many freelancers resort to starting as a virtual assistant because they just want to take on menial tasks—data entry, encoding, scheduling, and research, among other things. Unfortunately, these skills are incredibly hard to scale. And this is not to shed bad light on virtual assistance. It’s a great starting point if you really don’t know where to begin as it is a broad service offering and you can always specialize down the line. Psst! I’ve been a virtual assistant at some point in my freelancing career. To have a marketable skill, you must… well, align your skills with the market. Create a list of your knowledge and skills and check the market for demand, and build your freelancing niche. For example, I started as a writer in the health niche because I’m good at writing and I have a medical background. I’m sure you have something that you can offer to clients, but if you feel that you don’t, and want to develop skills that you’re interested in first, I recommend checking out some learning platforms like Skillshare (use this link to get 2 months FREE!) or Udemy. The last thing you'd need to get started is a way for you to get paid. You can do this by setting up a bank account to receive your earnings. You may then link you bank account to your freelancing website of choice, or if you're working with clients directly, you may use invoicing app like PayPal or Payoneer to bill your clients. Once you have the basic requirements down, it’s time to go where the fish are… or in your case, go where the clients are. For beginners, I’d suggest starting out with gig sites like Upwork, Freelancer, Fiverr, etc. But before you create your account, I need you to make one thing first: a professional email address. Yes, another rookie mistake is using your email in high school or college. Do you really think clients will trust their business to naruto23@gmail.com? To create a professional email, use a first name last name basis. For example, chris.acebu@gmail.com or chrisacebu@gmail.com. You don’t have to use Gmail, although I highly recommend it! After you’ve decided on what gig site to try, proceed by creating an account using your professional email. Depending on the platform, the next step will usually involve building you profile. Spend some time thinking about what to add (and what not to add) to your profile and really invest in making it look professional like using a photo that attracts business. Once you’ve set everything up, you should then be able to start applying to projects! Winning gigs can be challenging at first, but once you land your first one, you should be able to get some momentum going. And as you improve your selling and negotiation skills, you can start scaling your freelancing business. After you’re hired, ensure to deliver great work and exceed your clients’ expectations to help you build a great reputation which will help you win even more projects in the future. Good luck on your freelancing journey! P.S. 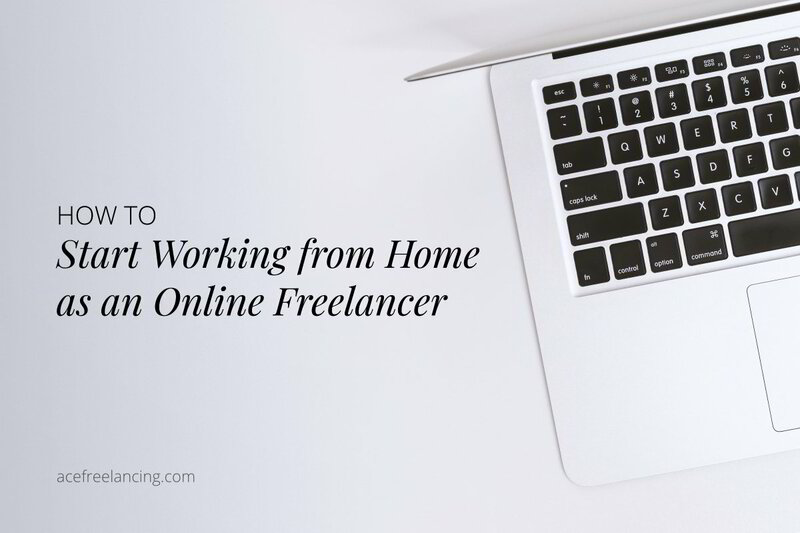 If you have any questions on how to start working from home as an online freelancer, feel free to drop a comment below and I'll get back to you as soon as I can.